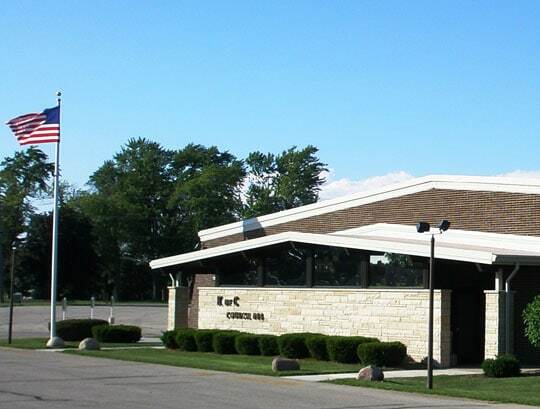 The Knights of Columbus Hall was dedicated in 1966. Over the past years the clubhouse has hosted thousands of weddings, anniversaries, business meetings and countless other events. The building has undergone many renovations, the last in 2014. We feature a large bar room, modern kitchen and an experienced staff. All of our menu items are prepared in-house from quality ingredients. The KC Hall is open to the public. Our Friday night menu is popular throughout the year. We offer many Wisconsin fish fry favorites as well as baked chicken, sandwiches and weekly specials. Dining room hours are 4:30 to 9:00 P.M. with the bar opening at 4:00 P.M. We accept reservations for groups of 8 or more and can accommodate your large group. Check in with our host station when you arrive and enjoy some fresh popcorn with a cold beer or cocktail in our bar room.